“One possession that I really hold dear is my Transcriptors Hydraulic Reference, a turntable so modern and iconic that it had its own place in Stanley Kubrick’s 1971 film A Clockwork Orange”. I love old hi-fi. I have a collection of some 36 reel to reels, cassette and DAT machines, 16 turntables and countless other gear. All has its own personality and history, and like a photo album or your favourite pop song, has a history that is personal to me, and a few other people. From my very first Fidelity reel to reel and Ferguson record deck, all have had an input in shaping my life. 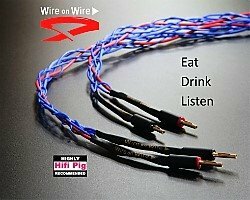 I am sure the same applies to you too, as we all progress through our relationship with audio. One possession that I really hold dear is my Transcriptors Hydraulic Reference, a turntable so modern and iconic that it had its own place in Stanley Kubrick’s 1971 film A Clockwork Orange. Sitting on the table in Alex’s bedroom, alongside other hi-fi memorabilia (including a micro-cassette player) this film, based on Anthony Burgess’s 1962 novella A Clockwork Orange, never saw light of day in the UK until 1999, not just because our politically correct totalitarianism felt we weren’t capable of watching it, but also because of death threats Kubrick received if he released it. Shame, as it might have brought in more sales of the turntable as The Italian Job did for the humble Mini. Interestingly it was the most popular film shown in France in 1972, where it was allowed. I love the film for its continual use of Beethoven’s 9th Symphony (though there is actually more music from Rossini in it) and also the music of synthesizer music marvel Wendy (then known as Walter) Carlos (best known for her album Switched on Bach). Interestingly the record shop scene was actually shot in a Chelsea Drugstore, a hip London bar frequented by the Rolling Stones and other celebrities in the late ’60s and ’70s. Next time you watch the film look out for the LP soundtrack to 2001: A Space Odyssey deliberately pinned on the front of the desk; another great Kubrick film. A clever touch. This lovely turntable was therefore chosen as a stage-prop by Kubrick, but it was designed long before the clapperboard was ever …. clapped. Indeed, before any turntable left the production line David Gammon, the founder of Transcriptors, in 1963 produced the Transcriptor arm, along with the sweep arm and stylus brush, really because there was a lack of good quality designs out there. His friend, Brian Allan, suggested they took some pictures and sent to HiFi News, probably as a joke, though they printed it. In 1963 he was approached by an audio research laboratory to produce a turntable that could meet the strict criteria required for highly accurate audio testing, and as a result the Reference was born. 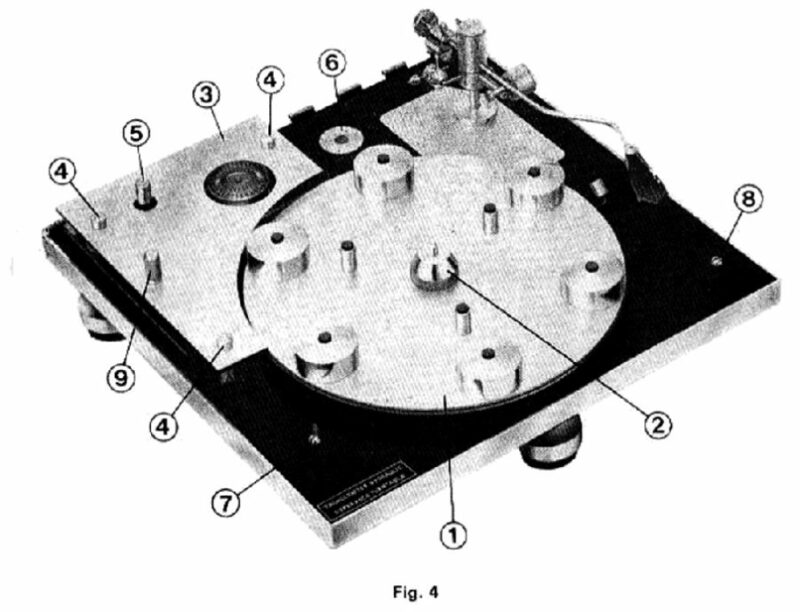 It was designed around the Transcriptor arm and was considered by many as the most advanced turntable unit that had been produced. Interestingly Gammon also designed a turntable unit for the then British audio company, Goodmans. Around that time most turntables were idler driven and solid structures, such as Garrard 201, 301 and later 401. The 3-point sprung mounted belt driven design appeared with the AR XA in 1961, made famous later of course by Linn LP12, and my preferred Ariston RD80 and Thorens TD150. The Transcriptors uses a synchronous motor, which became the preferred choice from the 1970s by many, pulling a belt that fits around the outside of the platter, though recessed into it. This makes it look even more posh, unlike most other turntables where the belt is seen just as a belt. Where many manufacturers tried to ensure pitch stability and precise speed adjustment by generating its own sinusoidal waveform to power their AC motor, Gammon decided on a trough and paddle system underneath the platter so that the friction not only allowed speed change by small degrees, but also meant that any instabilities of mains electricity was smoothed out. Nowadays manufacturers use heavy platters which have high inertia and are therefore less susceptible to small speed variations. In the next edition I review the 60kg Zontek turntable with a 35kg platter. This is enormous work expected of the motor and therefore the belt to get “up to speed”. In the days of the Transcriptors this method of propulsion and speed control was anathema. The Transcriptors ethos goes against everything today – and even most of the opposition of its own day, too; with minimal contact with the record meaning a record-clamp would not work. The instruction book tells of rumble as “not measurable” suggesting that either they didn’t have a tool to do that or that Gammon hoped the minimal contact with life outside the LP would remove all motor noise. In reality of course this is not quite so, though motor noise is miniscule, and excellent compared to many turntables even today. This novel contraption has six gold plated brass platforms on top of the platter on which the record sits. Most platters of the day were minimal in size and weight compared with today, and the crispy pizza aluminium platter on the HR is very thin and light, so the weights (the pepperoni?) help to give it a bit more substance. In some respects the lack of contact with the record does mean any warps can fit in between the platforms, though they cannot be pressed straight, as a record clamp would do. This turntable was copied by several in the 70’s, notably the Audio Linear TD4001. This particular turntable has 5 raised platforms instead of the six. Another bit of trivia is that David Gammon went to court to prevent a rival Scottish company from using the Transcriptors bearing design. The Transcriptors Hydraulic Reference was so called because of the hidden paddle under the platter, riding in a silicone bath, which acts as an adjustable speed retarder, and which actually does work, though it does need filling up every now and then. The suspended motor sits at the back left of the unit, with the belt also passing by an illuminated strobe. The turntable itself turns on and off by turning a knob which passes by a proximity sensor switch reed switch magnetically turning on and off the motor as you rotate the unit. The use of reed switches takes me back to the iconic Lecson AC1 preamp held together by balsa wood, plastic and magnets held above many reed switches. But that is for another day. 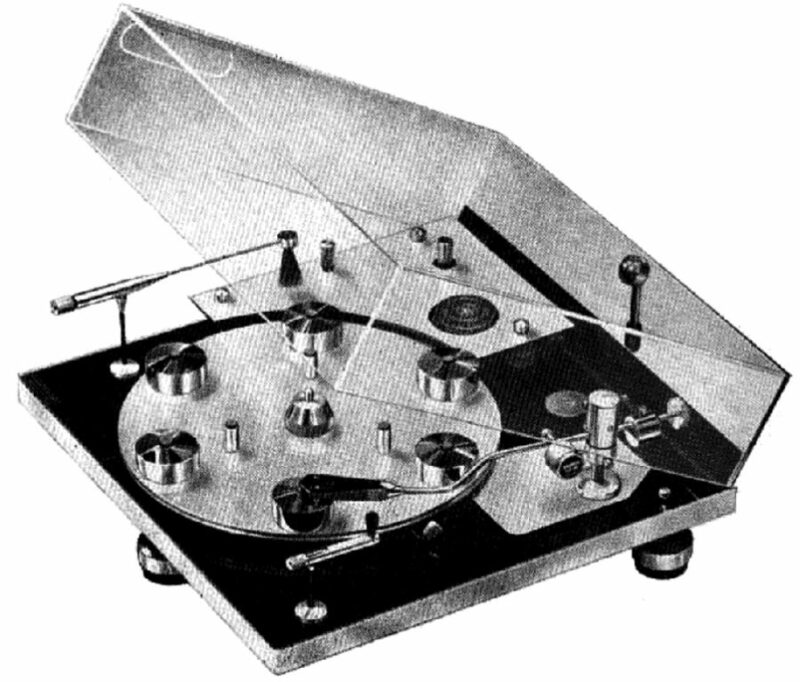 After Gammon’s first foray into audio with the arm he made his first turntable with just three brass supports on the outside and three smaller ones inside. This, of course, was later modified as records became thinner (some records were so thin you could see through them!) and needed the extra support. The first turntable, the Saturn, looked similar to the Hydraulic, just without the hydraulics! 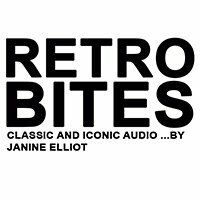 He later made the Round Table Turntable with the arm in the lid at requests to make something cheaper (£25), and even the Transcriber, an amazing machine which had a non-moving 3” arm, but the record moved gradually from the left to the right. The former was an ingenious but complete flop with only 300 being made, and an idea later copied by Strathearn. The link between Transcriptors and Michell is an interesting and often confused one. Transcriptors designed turntables but needed someone to manufacture them, as they didn’t have all the tooling. At their Borehamwood factory J.A Michell engineering was sat next door, so they, amongst other companies, made parts for them. Interestingly Michell built the space ship ‘Discovery’ for the Kubrick film 2001 – Space Odyssey. When the Irish government offered Gammon a factory in Carlow he made the move, as the Borehamwood site was not big enough now. In doing this David Gammon and John Michell drew up an agreement so that Michell could continue to manufacture the Electronic and Hydraulic at their site, as they had most of the tooling already in place. In Carlow Gammon produced the Skeleton and also the famous, though controversial, Vestigal tone arm, a design he originally drew on a Bensons and Hedges cigarette pack (so, smoking perhaps isn’t always bad for you?). This arm has the weight adjustment at the headshell, rather than more conventionally at the other end. To do this it had piece of string tied at the headshell, with a weight at the other end to take up the weight of the cartridge. Even the instruction manual talks about weight adjustments down to 1/10th of a gram. This was a clever design. Today, the Michell GiroDec isn’t a million miles away from the iconic Hydraulic Reference, being belt drive but with the weights held on the underside of the platter rather than on top to lower the centre of gravity below the bearing axis. But, which would I prefer? Well, with all the history and beauty of the Transcriptors, and the fact that it made itself to films and even a Kelloggs advert, and the marque made its way to the homes of two members of Pink Floyd, Peter Noon (Herman’s Hermits) Elton John and producer Mickie Most, then I think I it must be obvious which one I would have. Playing through my Slee Reflex phonostage, Proteus monoblocks and Graham LS5/9’s the sound is pretty musical, too, if rather vague by today’s standards of soundstage. Do I want a perfect sound with no personality? Well no, actually. But the story doesn’t quite end there. 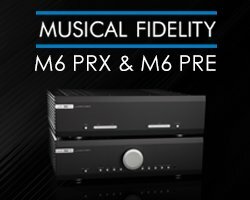 In 2009 son Michael Gammon decided to rebirth the brand with three new models, something I covered in HiFI News at the time. I’m still waiting.